Grace Noble is passionate about farming and producing high quality local produce. The mum of two, who previously worked in environmental health, has only been farming for four years. However in that short space of time she has managed to grow her fold of pedigree Highland cattle from six heifers to 80 cows. “I gave up my career to become a full-time lady farmer which I’m proud of,” said Mrs Noble, who with husband Alasdair has two children – Beth, 14, and Archie, 11. Renting various patches of ground in the Banchory area, Mrs Noble is currently farming around 160 acres. She carries out the bulk of the work on the farm herself, with the help of part-time stockman Ian Adams, as well as help from local neighbouring farmers. Her husband is not involved with the farm business. “I have grown my own herd,” said Mrs Noble. 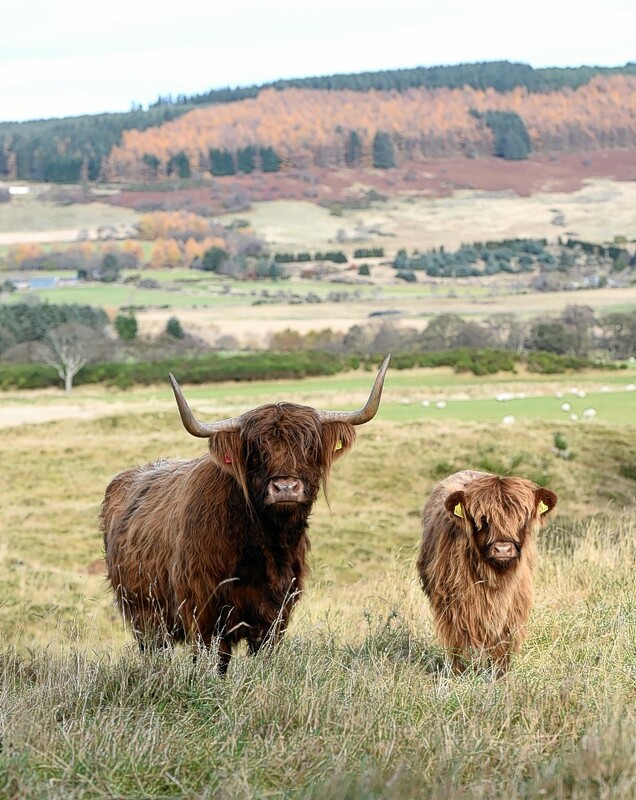 The family is in the process of moving to Lochton of Leys Farm, which sits on Crathes Estate, and next month the new premium range of Highland beef will be launched to local hoteliers, chefs and shopkeepers. 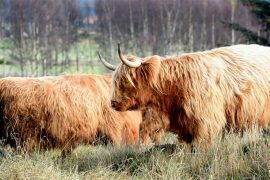 The range, which will be called Aberdeenshire Highland Beef, will be butchered, packaged and sold from a new on-farm butchery which is currently being constructed. Mrs Noble said the butchery had required “significant investment” but she had been fortunate to receive some financial support through the Leader scheme and Support for Aberdeen Business. She also paid tribute to local politicians, including Alexander Burnett MSP, for their support and north-east economic development agency ONE which helped her apply for funding. Mrs Noble dipped her toes in the water a year ago when she started on-farm meat sales, and following the success of this sales trial she plans to up production and launch and market the premium brand. “It’s really tender beef. It’s low-fat and low in cholesterol,” said Mrs Noble. She said all beef for the range will come from pure pedigree Highland cattle, with the majority of animals sourced from her own Grace fold. Extra beef requirements will be fulfilled by another local fold as Mrs Noble has agreed a partnership to source extra animals from the Queen’s Balmoral fold. “They (cattle) go for slaughter and then once they have been hung for 28 days they then come back to me,” said Mrs Noble. All beef is farm-assured through Quality Meat Scotland and Mrs Noble strives to maintain a high-health status through membership of the Premium Cattle Health Scheme. To ensure a constant supply of meat, Mrs Noble plans to slaughter cattle at Millers of Speyside every week. The aim is to finish both heifers and steers under 30 months old. Some of the cattle from the fold. The main herd is split into two batches – spring-calvers and autumn-calvers – to ensure finished cattle are available all year round. A key benefit of the breed, claims Mrs Noble, is the fact the cows can be kept outside all year round. As such everything is calved outside, however a small penning area and shed is available if any animal needs assistance. Another key element of Mrs Noble’s farming enterprise is attendance and participation in local agricultural shows and Highland cattle clubs. Her daughter Beth and stockman Ian Adams are also keen on showing and they are familiar faces on the show circuits in the north and north-east. Earlier this year Mrs Noble and Beth attended the Dalmally Show, which she describes as the “Olympics” of the Highland cattle world, and took home the champion title with a heifer belonging to Mr Adams. Beth also earned success in her own right winning the young handlers section – a moment Mrs Noble said she was extremely proud of. Success for her own fold includes winning the champion and reserve titles at the Keith Show in 2015 and taking first place in the Highland section at the Stars of the Future Show in 2013. “I think it’s really important to show at the shows,” said Mrs Noble. She said next year the first home-bred animals from the Grace fold will be out on the summer show circuit. 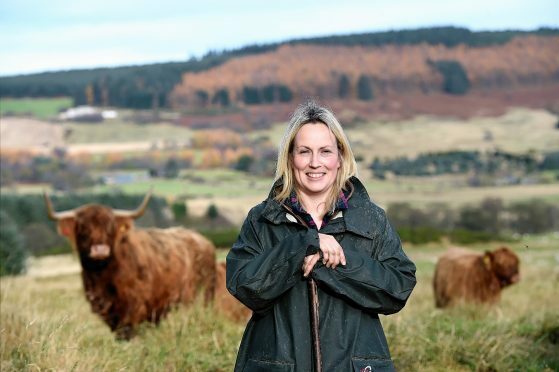 Mrs Noble is hosting a beef tasting event on Wednesday, December 7, at Banchory Lodge Hotel from 7-9pm.